Snrky: I hope it ends with wasted. I hope it ends with wasted. Ah. Romance is in the air. Today's Snarky is a riff...nay, an homage...to Snarkys of Valentine's past. Wow, that PM Farr one from immediately before Valentine's 2013 was pretty geeky. And some wonderful art. Happy Valentine's Day from Snarky! 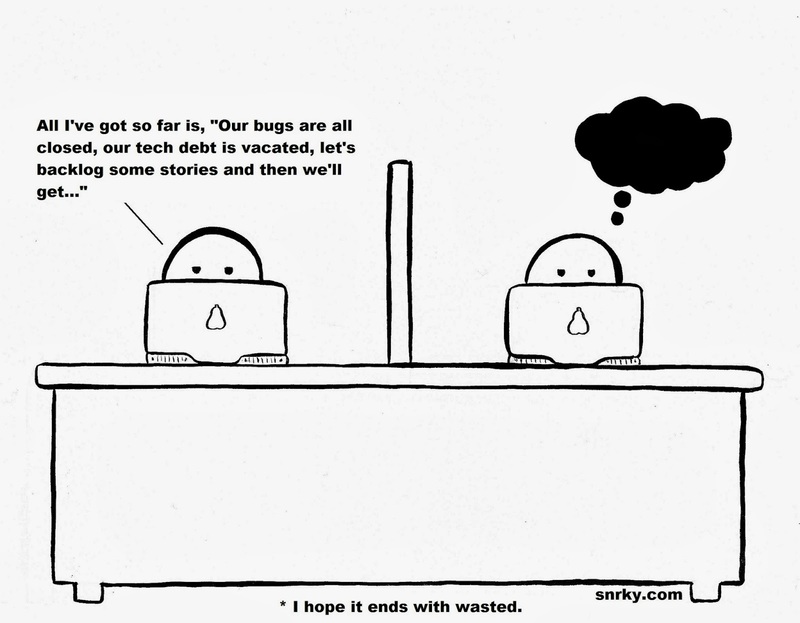 Snarky: All I've got so far is, "Our bugs are all closed, our tech debt is vacated, let's backlog some stories and then we'll get..."
Title: I hope it ends with wasted.